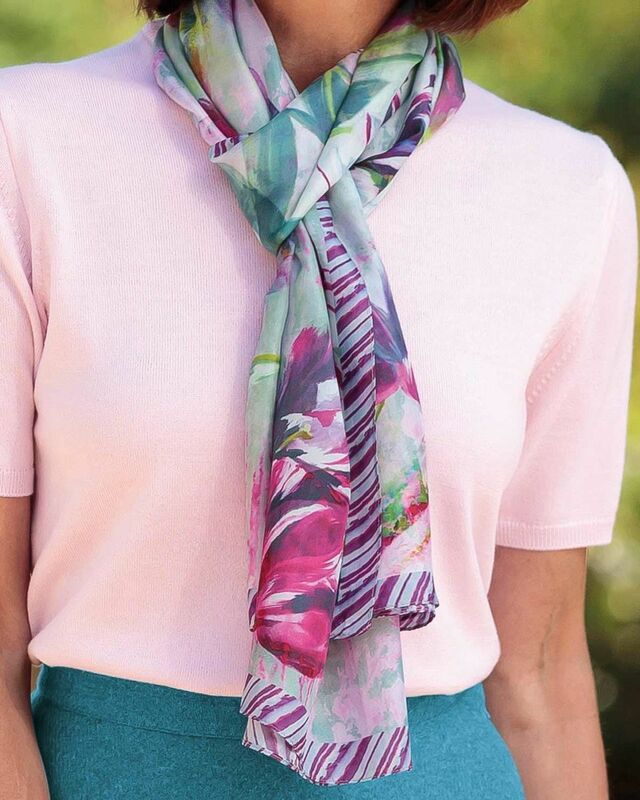 Ladies Tulip Silk Scarf. Approx size 174cm x 54cm. Dry clean only. Designer Guild pure silk scarf in a pretty Tulip design. Shades of pink, mauve, blues and green With a striped border. Supplied in a presentation box. Lending a touch of individuality to any outfit.